Are thrift stores a rip-off? It’s been.a while since I shopped at a “segunda”. A friend of mine and I used to have a great time speaking Spanglish and finding goodies in Dallas at the Sunshine Shop. Usually, it takes a lot of time to find a good treasure. I went looking for a dark denim shirt or jacket. All I saw at one particular thrift store was clothing near rag status for $9.99 and $12.99. I’ve seen comparible prices for CUTE AND NEW things at New York and Company. Curious, I went to Goodwill to compare items and prices. Goodwill “Select” in the posh part of town was a bit better but not much. Most items were a good 10years old with the hefty price. He was concerned that I had gone off the deep end and was beginning to entertain the thought of dumpster diving. What is going on with clothing? The universe seems upside down. What happens to donated clothes? Turns out, it’s fascinating and seedy and heading towards change. Clothing was cheaper to MAKE. Sewn clothes in my neighborhood in the 1970s was the NORM. We had fittings in our house. I still remember the crinkly crunch, onion-paper sound of the patterns on my little kid body. pins. patience. Mom sewing into the wee hours…. In the 1980s the malls came. Manufacturing of clothes went overseas and the price of clothes began to plummet. In the 90s, cheap clothes exploded. Back to 2015, and clothes are almost free by comparison and the consumption is insane. On day 2 of ‘field research’ I set my sights on secondary clothes buyers like Buffalo Exchange. They gave me $28 in cash or $47 in trade. I took my $28 in cash and headed to Plato’s Closet. It should be renamed Saint Platos because you DO have to have such patience there. I have not worked so hard for $12 in a very long time. A wasteland of NEW crap dresswise. we are not Bert and Ernie. TJMaxx certainly has better quality clothing and I did learn that they get the same clothes as a retailer like Macys in the same season. It works like this: a manufacturer like Zara, will tell Macy’s and TJMaxx-“hey, we have enough fabric to make 11, 000 of the yellow dress you want for spring.” Macy’s orders 10,000 of them and has a clause with Zara that if the dresses don’t sell for retail, say, $75, Zara will buy them back and donate them as a tax loss. TJMaxx doesn’t have the buyback luxury but can maybe move 1,000 of those dresses for $19.99. Not irregulars, not clearance-overstock opportunity. Ross is similar from a lower-end retailer like JCPenneys. New York and Company is one of my favs-current styles marked up to be marked down with coupons. I do get a coupon rush there. Of all the stores, it’s my favourite for value. But what about the clothing cycle? Cotton is grown, cultivated by machines, woven, etc. Polyester has is made from petrochemicals. Silkworms are boiled alive for silk. Cows are harvested for leather…. Sheeps get a haircut for wool. All of it takes energy, creates jobs, requires transportation across the ocean to and fro. I see a cute dress at NYandC and get it for $20. The next year I’m tired of it, so I take it to a buyer like Buffalo. They sell it for $16. The next year, it sells at a garage sale for $2. For 5 years it sits at the back of the next person’s closet until they need a tax deduction. The dress goes to the Salvation Army. It’s a bit out of style but still in fair shape compared to the other 9 items that are stained, ripped or missing zippers. 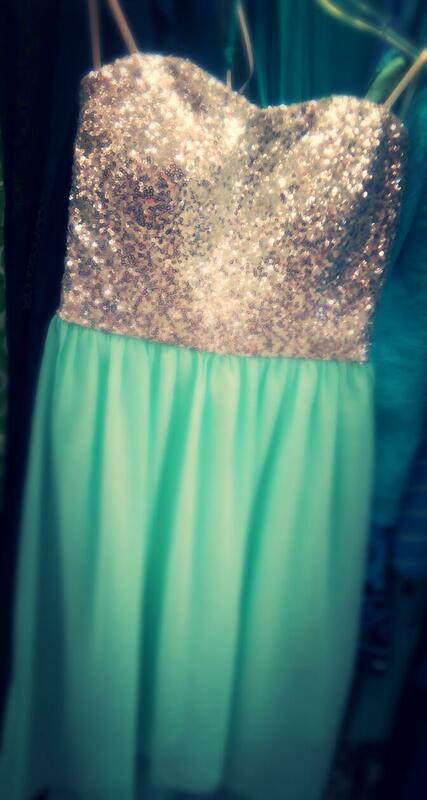 The dress gets a $9.99 price tag put on it and shelved next to old sparkly prom dresses. The other 9 items are combined with 6 TONS of other “fiber” and compacted down like an old car to become rags. It’s a misconception that most donated clothes clothe the needy in the US. Most donation centers are overwhelmed by the donations and have become processing centers for fiber and clothes “tonnage.” The center in New York processes 6 TONS A DAY! Clothes deemed still wearable are packaged in 100 lb bales, shrinkwraped, and shipped over to Sub Saharan Africa. The internet and phones are changing things. Many of these countries want to make their own clothes to help provide their people with jobs. Buyers are getting more fashion savvy. It’s estimated that the #1 export from the US is CLOTHES. What will happen when the export is no longer wanted? 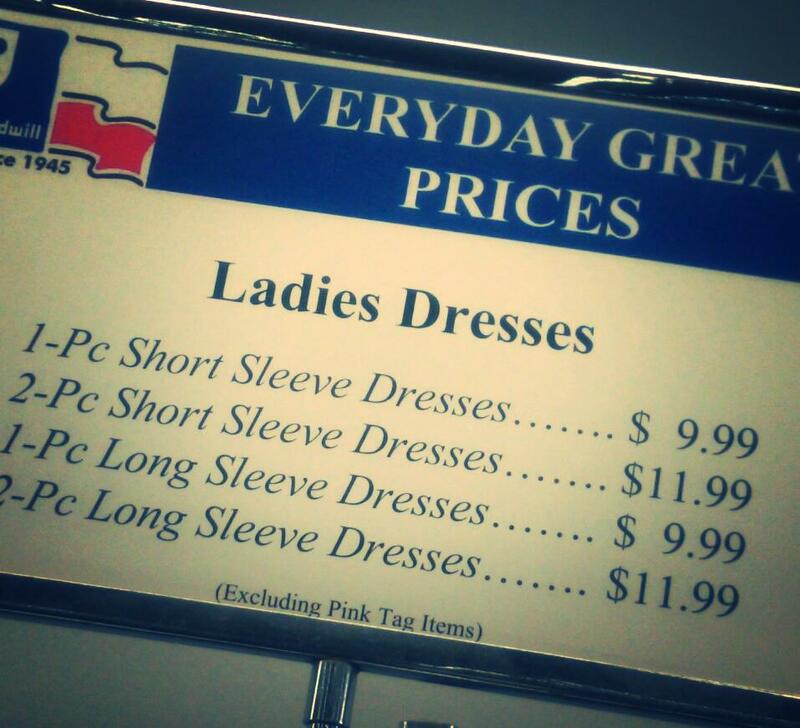 So, are thrift stores a “rip off”? From a clothes buying perspective, they may not be a great value but as processors of fiber tonnage and providers of many jobs, where would we be without them? By the way, the dress in the photo is silver and aqua blue. I don’t want to blow up the internet or anything…. ← everydollar.com budget tool is awesome!